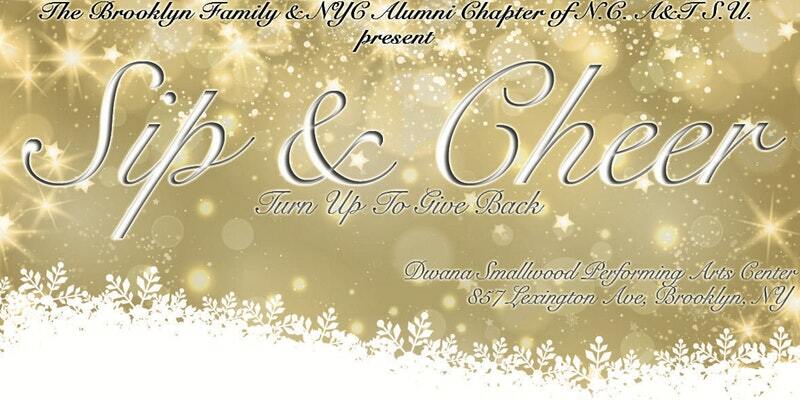 Financially CLEAN to be Honored at The 12th Annual Brooklyn Holiday Family Event: Turn Up to Give Back Dec 16th! We invite everyone come out and join us for a great celebration hosted by The Brooklyn Family. TURN UP TO GIVE BACK! Check out last year's festivities! The Brooklyn Family is a group of close friends and relatives that came together during the Christmas season in the late 1990’s to host holiday parties. Over the years, the collection of individuals hosted multiple gatherings in their Brooklyn community, strategically selecting venues operated by small business owners with the intention to have a good time while supporting local entrepreneurs. In addition, The Brooklyn Family would also identify impactful non-profits that serve the Brooklyn community, and these selected organizations would be highlighted at the holiday event and all the proceeds of the event would be donated to the organizations. All attendees had an opportunity to celebrate in holiday spirit while meeting mutual community stakeholders. Each organization was given a moment during the party to describe their organization and pitch any needs of their organization to attendees. After each organization had an opportunity to inform the community of their great works and needs, the party would resume! In 2016, after about a seven-year intermission, some of the individuals of the original Brooklyn Family host crew, decided to reignite the old annual party with a purpose. In 10 days, The Brooklyn Family rebooted with vigor, with a fundraiser surpassing all previous years. Now, The Brooklyn Family has decided to keep the momentum and the mission with a quarterly event to highlight and promote the good work serving Brooklyn so that we can better serve the needs of our beloved Brooklyn. Open bar 7pm to 8:30, free food, music by DJ Fanatic and great people. Proceeds will benefit UWantGame, Financially Clean and Chionesu Bakari Program for Young Men.